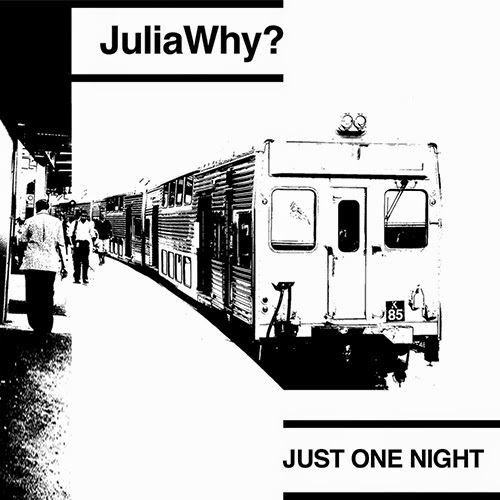 Sydney's JuliaWhy? are a trio made up of Julia Wylie (singer/guitarist/bassist), Peter Beringer (drums) and Matt Frederickson (guitarist/bassist). Between Julia and Peter they play in a bunch of sweet lo-fi bands - Snotty Babies, The Cathys, King Tears Mortuary to name a few. Recently they won a comp and had some talented film students make them a video for their new single 'Just One Night', off their new EP 'Wheel' (due out on EXXE Records in November). The video is shot brilliantly and really captures that 90's esque sound that Julia Why? harbour. I can image being a loner zombie at my school prom and having Julia Why? playing in the background. I would feel out of place, everyone else would stand and stare and the band would sound amazing.